Presidents Muhammadu Buhari of Nigeria and Xi Jinping of China. Nigeria has secured a $328 million deal on Information and Communication Technology Infrastructure Backbone Phase II (NICTIB II) project. The deal is part of the agreements that the Nigerian government and Chinese companies entered into during the Forum on China-Africa Cooperation held in Beijing. It is a concessional loan agreement between Nigerian government's Galaxy Backbone Limited and Huawei Technologies Limited (HUAWEI). It was signed by Nigeria’s Minister of Finance Kemi Adesoun and Wang Xiaotoa, Director-General, International Development Agency, in the presence of President Muhammadu Buhari and President Xi Jinping of China. The details of the deal has not been released, but expectations are that it will increase broadband penetration and provide more internet access to more Nigerians. Nigeria’s Minister of Foreign Affairs, Geoffrey Onyeama and He Lifeng, Director, China’s National Development and Reform Commission signed the OBOR- an initiative of President Xi which focuses on improving connectivity and cooperation among multiple countries spread across the continents of Asia, Africa and Europe. Earlier during his meeting with President Xi, the Nigerian leader, while commending the Chinese government for successfully hosting the Forum on China-Africa Cooperation (FOCAC); solicited support for the 3050 Megawatts Mambila hydroelectric power project. "In the past 24 months, the Chinese Government has provided humanitarian aid to our conflict-affected areas, scholarship to Nigerian youth, military training and security support to our personnel and agricultural modernisation training," he said. 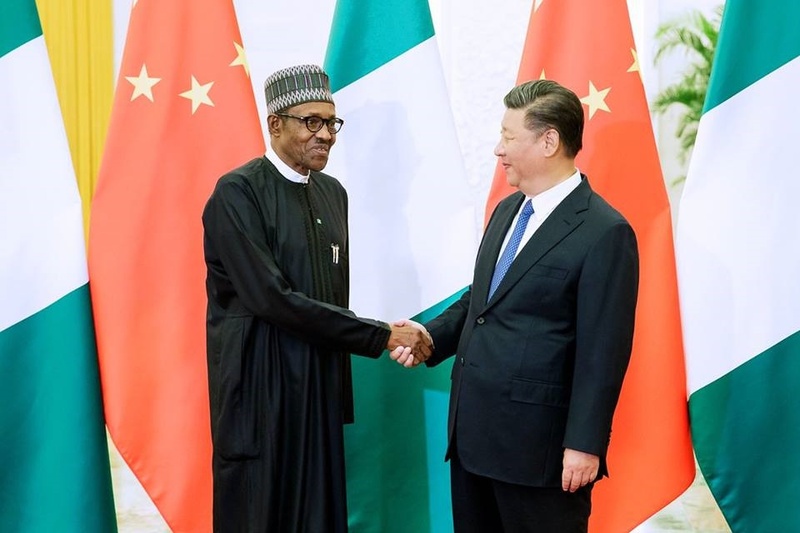 President Buhari also stated that in the period under review, China had provided concessionary loans to fund critical infrastructure projects in Nigeria, adding that these interventions have positively impacted millions of Nigerians and will continue to do so for generations to come. "Mr President, as we celebrate these successes, I would like to once again solicit your support for the Mambilla Hydropower Project which remains a key priority for my government. "Our hope is to fund the project with concessionary loans from China as any alternative funding arrangement will adversely impact the project’s viability. "We have been informed that our submission on this project is undergoing assessment by the relevant Chinese agencies. "We hope with your kind intervention, this assessment will be expedited. Your Excellency, Mambilla is Nigeria’s equivalent of the three gorges dam.